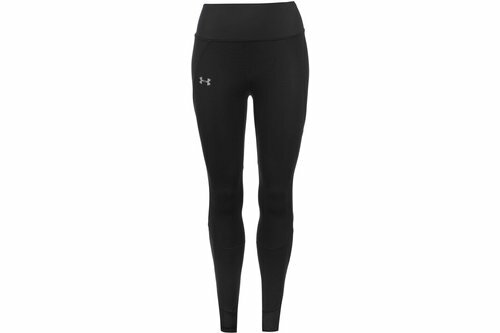 Be smart, be sure to run in the Under Armour Coldgear Reactor Run Tights. These compression-fit tights are designed with Coldgear Reactor, a smart insulation which maintains warmth, but ensures you don&apos;t overheat, thanks to the ventilated Coldgear fabric. Feel fresh and smell fresher with the anti-odour technologies. Workout whatever the weather, and conditions, with the reflective graphics ideal for low lighting. Under Armour branding completes the smart baselayer, for a recognisable, quality finish.